For much of Sunday afternoon it appeared that this match would be played at the SCG. That was until Glenn Maxwell detonated for Melbourne Stars, sending the Sixers hurtling from second down to third via a heavy defeat to break a run of four consecutive wins, and at the same time gifting a home semi-final to the Renegades, their first since 2013. The change of venue from Sydney to Melbourne caused some late switches in travel plans, while also delaying the digging up of the Docklands Stadium drop-in pitch ahead of the AFL season. 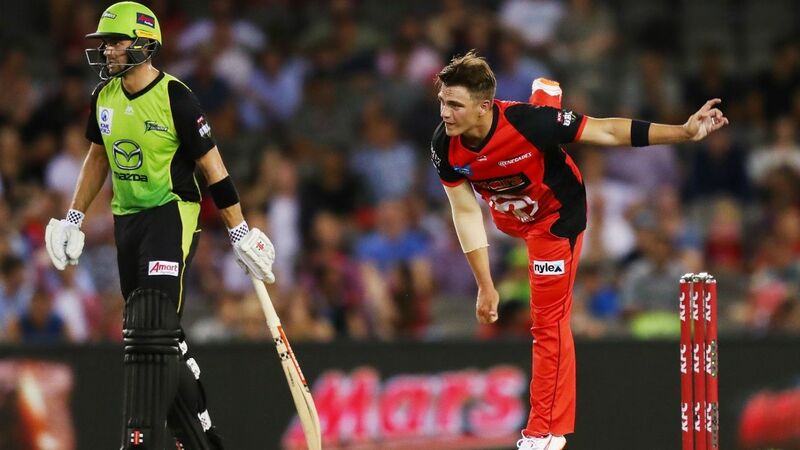 But it remains to be seen whether playing at home helps the Renegades or hurts the Sixers, given that the two sides, each well stocked with spin and defensive pace bowling options, claimed sizeable victories on each other’s home turf this tournament. When the Sixers comfortably defended a paltry 132 at Docklands, questions about the venue’s tired pitch were as sharply directed as ever, before the Renegades turned the tide at the SCG by holding the Sixers to 115 and then sprinting past that tally in a mere 13 overs. Both sides are missing key players due to the vagaries of the international schedule, Tom Curran departing the Sixers and Mohammed Nabi absent for the Renegades. The Renegades captain Aaron Finch said that his men had taken note of the way that Maxwell dismantled the visitors on Sunday, principally by getting himself set and being primed at the finish to capitalise on errors in length that became more frequent from the Sixers the closer Maxwell got to the finish.